Taking a page from bandmate Jonny Greenwood’s songbook, Radiohead’s Thom Yorke has thrown himself into the breach of film scoring and it really takes only 1 minute and 47 seconds - or roughly the length of opening track “A Storm That Took Everything” to wonder why it ever took this long to begin with? For the uninitiated, Suspiria is an iconic 1977 Italian horror film from an iconic Italian horror director, Dario Argento, featuring an iconic soundtrack from Italian synth-heavy group, Goblin. While it remains to be seen how well or how much filmmaker Luca Guadagnino has updated Suspiria for a modern audience, it’s very clear to anyone familiar with the Goblin soundtrack that what Yorke has done isn’t a reworking, it’s a complete reinventing of the score. Like much of Yorke’s solo work, there’s a prevalent melancholia that suits the subject matter beautifully - the story of a lonely dancer finding her footing figuratively and literally as a new student in a school of dance that let’s just say, has an unusual curriculum. Yorke utilizes just about every trick up his sleeve to flesh out his vision - and as this is a double album, it’s just as well that we’re talking about such a multi-faceted musician. 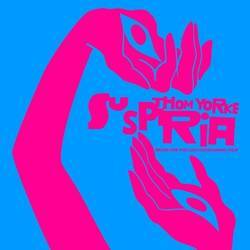 Choirs, orchestral arrangements, synthesizers, sparse instrumentals, along with Yorke’s dreamlike vocals all comprise Suspiria as seen through his eyes. Now, fans of the original need to be prepared that Yorke’s score is essentially the antithesis of the Goblin score. Yorke provides subtle nuance where Goblin provided cacophonous bombast. This is not a denigrating observation. Goblin’s music was perfectly suited for the gauche, vivid colors of Argento’s film. So one can only surmise that Guadagnino’s film will reflect the same tonal shift. But the one thing that both scores have in common is the singular atmosphere created. Someone with no frame of reference to either the film or score is bound to get goosebumps and shivers aplenty when listening to cues such as “Unmade” and “Open Again”. Goblin’s Suspiria was an album that grew to become synonymous with the Argento film, but Thom Yorke’s Suspiria stands tall completely on its own merits and should feel no pressure in doing the same. Yorke’s solo work and work with Radiohead continues to surpass any paltry expectations set upon it by others. Posted Nov. 5, 2018, 8:30 p.m.
Posted Jan. 26, 2019, 11:51 p.m.
Posted Sept. 9, 2018, 9:01 a.m.
Posted Aug. 13, 2018, 10:05 p.m.